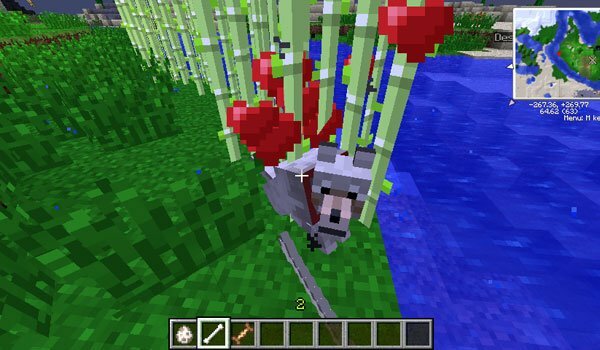 Almost a year ago we published this mod that is responsible for improving the functions of Minecraft Wolves to evolve them. Doggy Talents 1.7.2 and 1.7.10 allows us to go beyond the training of Minecraft, although, for the development of the mod, we train a wolf as always. Once trained we’ll use a new wooden pole, added in the mod, with which we will display a menu of skills to our wolf. In this menu you can change the name of our new companion, and assign various skills. Each level will raise our wolf skill point that we can improve. From levels 20, 40 and 60, we get some extras for improvements. How to install el Mod Doggy Talents Mod for Minecraft 1.7.2 and 1.7.10? New functions and abilities to Minecraft Wolves! Dog UI off-centered on 1.7.2. plz fix!